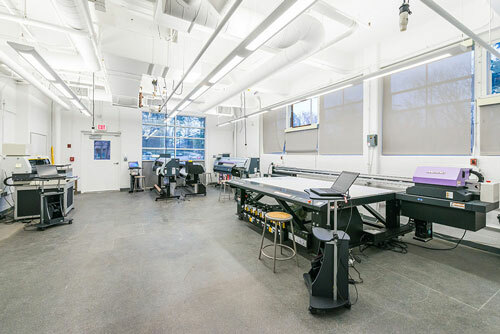 The Center for Excellence in Digital Inkjet Printing of Textiles at Thomas Jefferson University was launched in 2000 to enhance and promote the digital textile printing industries. 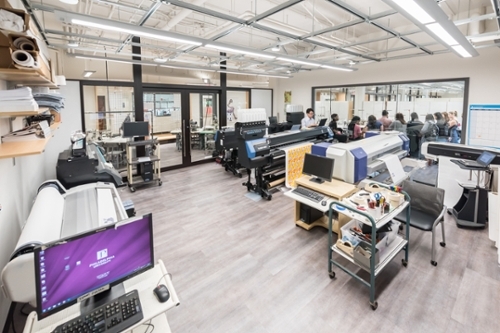 For more than a decade, the Center has conducted research projects and educational events related to design, applied engineering, and business aspects of inkjet textile printing technologies. The Center has generated new thought and practices in the use of new technologies for applying images to surfaces. Combining this knowledge with a decade of experience, the University plans to expand the Center to operate as the Center for Excellence in Surface Imaging. 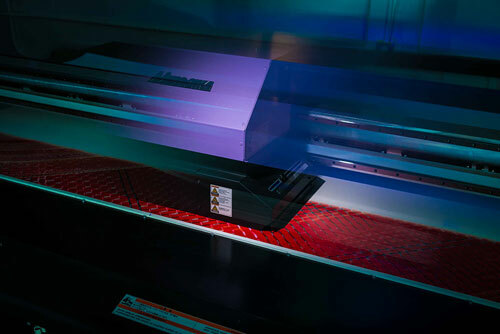 “Surface Imaging” refers to creating imagery in various physical forms using a variety of digital printing technologies, including “direct surface imaging” on porous and non-porous substrates and “fabrication printing” through material deposition and subtraction printing technologies (laser and 3D printing). Unlike the current Center for Excellence in Digital Inkjet Printing of Textiles, which is specific to the textile printing discipline, the Center for Excellence in Surface Imaging is trans-disciplinary and moves beyond the boundaries of traditional printing disciplines. Enhance academic curricula of Thomas Jefferson University. Conduct educational events: workshops, seminars, conferences, etc. Serve as a printing service bureau. Innovation: The Center will support research opportunities through projects related to design, applied engineering, and business in the Surface Imaging field. Branding: Our expertise in digital textile printing draws many companies to Thomas Jefferson University for collaboration. Our industry partners in the Center for Excellence in Surface Imaging will have great exposure to corporate visitors to our campus. Leadership: Industry partners will have a connection to our graduates, future leaders who have depth of knowledge and experience in their technologies. Education: Thomas Jefferson University and the Center will promote our industry partners at our workshops and seminars. We also can offer customized workshops and seminars to our industry partners and their dealers. Custom Requests: One of the advantages of working with Thomas Jefferson University is flexibility. We can work with your custom requests. The Center will be supported in part through annual subscriptions by equipment manufacturers, suppliers, and end users. This funding will be used to support education and further research in this developing area. Our partners will have opportunities to participate in the Center’s activities. ErgoSoft Texprint, Wasatch Soft Rip, etc. For information concerning membership in the Center for Excellence, contact Hitoshi Ujiie, Director of the Center for Excellence in Surface Imaging at 215-951-2682 or ujiieh@PhilaU.edu.